We are a respected name from Jammu & Kashmir(India) and involved in catering to the varied demands of the customers. We own a well-structured warehouse where the entire lot is carefully stored before making the final dispatch. The unit helps in providing protection from moisture, dust, rain, sunlight and more. 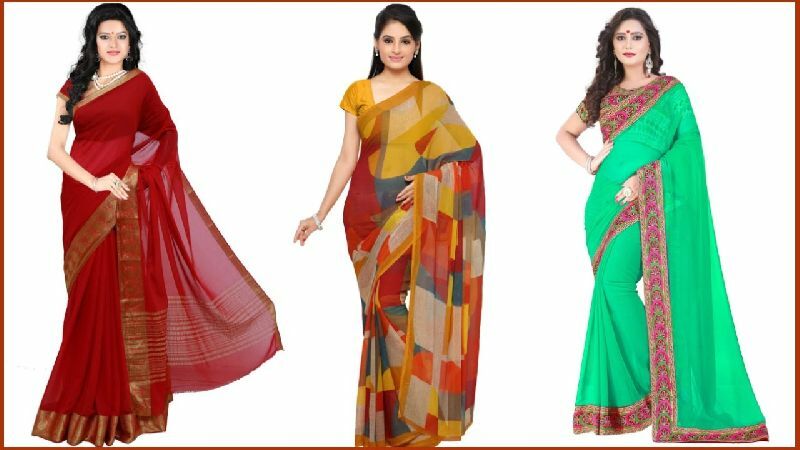 These Chiffon Sarees have a smooth and shiny surface with a long length of 5.5meters to 6 meters and an attached blouse piece.